Lurking Rhythmically: Salem Plays a Game: Resident Evil 7 (Demo) - Ponies. Pistols. Prepping. I've been following the Resident Evil series for a while now, and starting with Resident Evil 4 and going through the most recent Resident Evil 6. it's slipped away from its survival horror roots that started with fixed camera angles, extremely clunky controls, and limited inventory system (all pretty much elements of the game that were required due to the limited technology of the platforms of the time) to a more schlocky B-Movie horror/action hybrid. 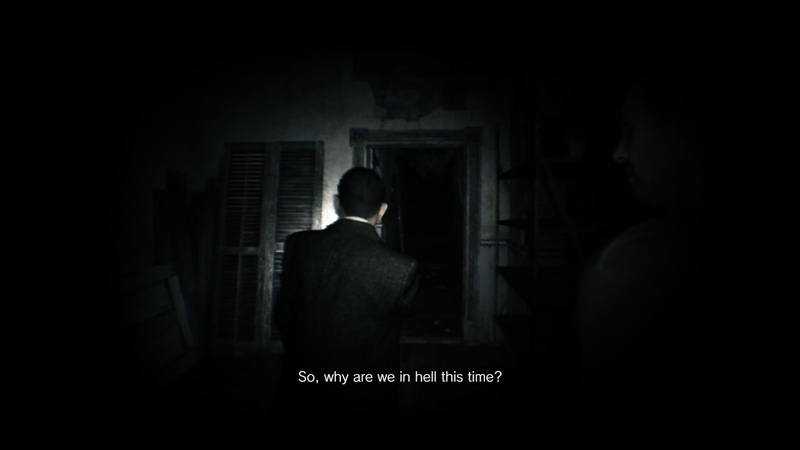 Therefore it was with great excitement when I heard that Resident Evil 7 was in the works. I actually enjoyed the cheesy approach of "extraordinary people doing extraordinary things to ugly monsters," and I admired that, no matter how much it stretched your suspension of disbelief, Resident Evil stayed away from supernatural horror and stuck to scientific horror. Sure, the game originated with zombies, but it also had other monsters like giant snakes and man-sized lizard hunters, all of them the results of an experiment originally intended as a sort of super-soldier serum a la Captain America. It stuck hard to that motif, no matter how improbable the results of the mutated viral victims became, instead leaving the supernatural elements to its horror brethren Silent Hill. I think I'm done with scary mannequins. The demo for Resident Evil 7 has been released, and it's fantastic. You're a man with a camera investigating a dingy and allegedly abandoned structure while filming documentary footage. It's all first person, interspersed with usage of the camera as an interesting mechanic to solve puzzles and find your way through the place in which you've become trapped. Long stretches pass without encountering any sort of enemies, and there are no weapons to be found; you have only your video camera at your side as a sort of security blanket. At times you're hunted and pursued by backwoods men, running desperately and hiding to avoid them, only to meet a gruesome fate at the end. Your mission, should you choose to accept it.. Wait... wait, no, hold on. No, that's Outlast. But you'd be forgiven for mistaking the two. 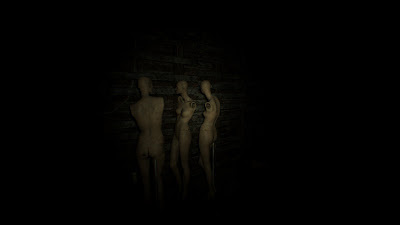 Resident Evil started with a semi-overhead view, moving the camera eventually to third-person over the shoulder view, and finally reaching Resident Evil 7, a first-person survival horror game that culminates, at least in the demo, as a less-scary, less-atmospheric, and more frustrating Outlast. 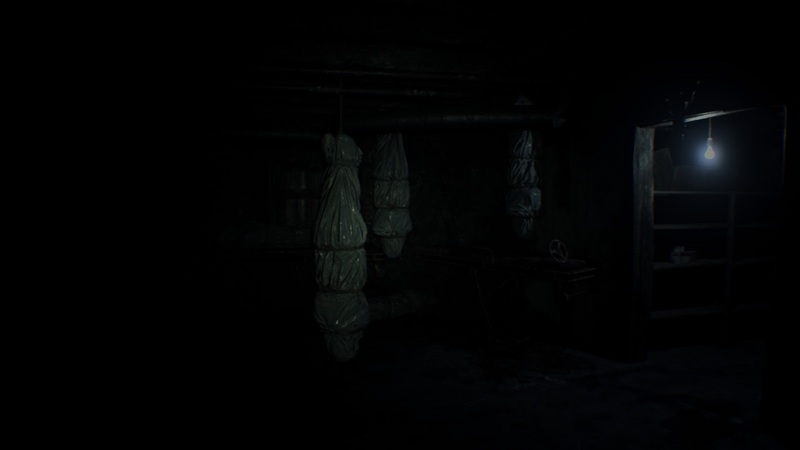 It really looks no better than the three-year-old first-person survival horror atmospheric masterpiece that's only $20 on a regular day (there's a Steam sale on now, and you can get both the game and its excellent expansion/DLC for about $7.25, by clicking here). As found footage goes, it's no Marble Hornets. The first-person perspective is a obvious jarring change, but he lack of familiar faces doesn't help, either. Resident Evil has a rich cast of characters, and introduces new ones frequently by teaming them up with classic characters Jill Valentine, Chris Redfield, and Leon Kennedy. 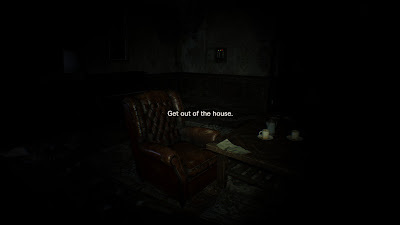 The new game focuses on an entirely new set of characters (or so I've heard), and the demo introduces a team of filmmakers that likely have an 11 PM slot on SyFy Network exploring abandoned "haunted" houses. I've seen no evidence of the science horror from the previous game, except for one possible monster that could be inspired by the B.O.W. 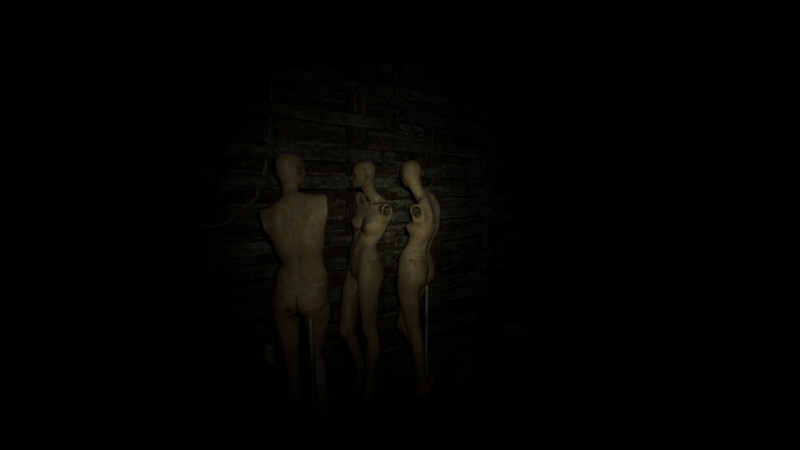 monsters of previous games, and in fact in playthroughs I've seen a little ghost girl that looks much more at home in a Silent Hill or other Japanese Horror game like DreadOut. The cannibalistic hillbilly trope is much more Texas Chainsaw Massacre or The Hills Have Eyes than what we've been used to so far. The basement, where I had my first and only real scare. I'm giving this one a pass when it comes out. I might pick it up a year or so on when it's on a deep, deep sale, but for now I'm recommending the Resident Evil: Revelations series, which is far less action-focused and much more atmospheric than the main series, but keeps the science horror and familiar faces with games focused on Jill Valentine and Claire Redfield. Resident Evil 7 feels like it might be a decent game, but it just doesn't feel like a Resident Evil game. I feel like this one should have been spun off into a different franchise, much like Devil May Cry was originally supposed to be a Resident Evil game but just didn't fit the franchise enough. Verdict: It's alright, but overall unimpressive. Don't pre-order it, but wait for a sale instead. If you're a Resident Evil junkie, this one's not going to scratch your itch.